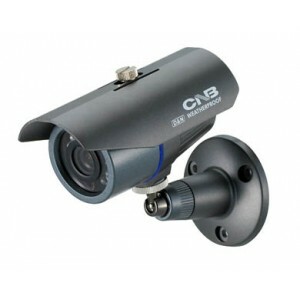 CNB D2315NVD, 550TVL High Resolution, Dual Power, 2.8-10mm Vari-focal 1/3" High Sensitive Super HAD CCD Built-in DC Iris Vari-focal Lens (f=2.8~10.5mm) Super High Resolution : 550 TV Lines Min. 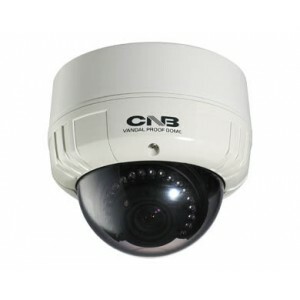 Illumination : 0.3 Lux AWB, AGC, BLC, Flickerless 3-Axis Camera Bracket 100mm Dome Size ..
CNB D2815NVR Indoor Night vision Dome Camera Intelligent IR 550TVL 24 Leds Dual Power ICR 3.8-9.5mm 1/3" High Sensitivity CCD High Resolution : 550 TV Lines Min. 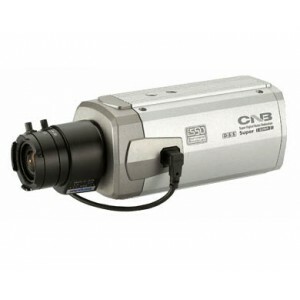 Illumination : 0.00 Lux (IR LED On) TDN(ICR), Auto White Balance AGC, BLC, Flickerless (On/Off) 3-Axis Movement for ..
CNB GN3005 1/3 SONY Super HAD CCD 380TVL Day & Night Dual Power 1/3" IT CCD Normal Resolution : 380 TV Lines Day & Night (IR pass filter) Min. 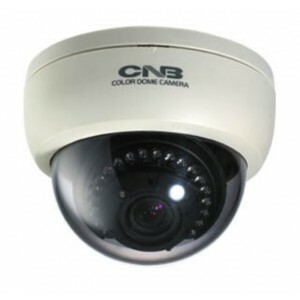 Illumination : 0.05 Lux DIP SW (On/Off) : AGC, BLC, Flickerless Auto White Balance 24VAC/12VDC Dual Voltage Lens and mount ar..
CNB V2815NVR Outdoor Dome Camera Intelligent IR 550TVL 20 Leds Vandal-Resitant ICR 3.8-9.5mm 1/3" High Sensitivity CCD High Resolution : 550 TV Lines Min. 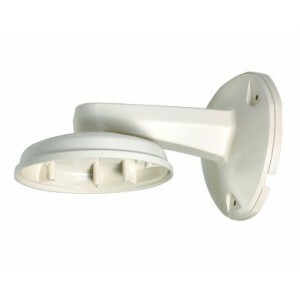 Illumination : 0.00 Lux (IR LED On) TDN(ICR), Auto White Balance AGC, BLC, Flickerless (On/Off) 3-Axis Movement for Free Le..
WALL MOUNT TYPE PLASTIC BRACKET FOR VANDAL RESISTANT DOME & IP GENERAL DOME Wall Mount Bracket for Vandal-resistant Dome Camera Material: Polycarbonate Avail. 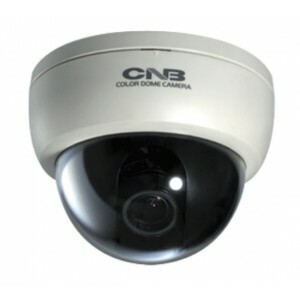 in appliable models V2000 Series (Vandal-Resistant Dome) D2000 Series (Only WDR General Dome) IVP4000 Series (IP General ..
CNB B1000N Bullet IR Camera 380TVL Sony HAD 4.3mm Wheather Proof Housing 12LEDs 12V DC 1/3 inch Sony Super HAD CCD Normal Resolution : 380 TV Lines Built-in Fixed (f=4.3mm) Built-in IR LED(12EA) and Sensor(1EA) Min Illumination :Night(0.00Lux, IR LED On) Weather Proof Housing 5..
CNB B1700 Bullet IR Camera 380TVL Sony HAD 4mm Wheather Proof Housing 12LEDs 1/3" SONY Super HAD CCD Normal Resolution : 380 TV Lines Built-in Fixed Lens (f=4.0mm) Built-in IR LEDs and CDS Sensor Day (0.1Lux), Night (0.00Lux, IR LED On) Weather Proof Housing Supplied Voltage : ..
CNB B1760N Bullet IR Camera 530TVL Sony HAD 6mm Wheather Proof Housing 12LEDs 1/3" IT CCD High Resolution : 530 TV Lines Built-in Fixed Lens (f=6mm) Built-in IR LED 12EA and Sensor 1EA IR Visible Range : Max.15m Min. 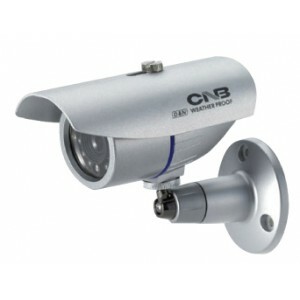 Illumination : 0.00 Lux Weather Proof Housing Supplied ..
CNB D2265NVF 1/3 SONY Double Scan WDR, High Resolution 480/525TVL ICR, DSS, Dual Power Low light Vari-focal 1/3" SONY Double Scan CCD High Resolution 480/525TVL Double Scan WDR (Wide Dynamic Range) Made In Korea Day & Night (ICR) Digital Slow Shutter ..
CNB DBM-24VD 600 TVL high resolution MonalisaI dsp cctv dome camera 2.8-10.5mm Dual Power 1/3" High Sensitivity CCD Ultra High Resolution : 600 TV Lines (BW 650TV Lines) Built-in DC Iris Vari-focal Lens (f=2.8~10.5mm) DNR(Super Digital Noise Reduction) Min. 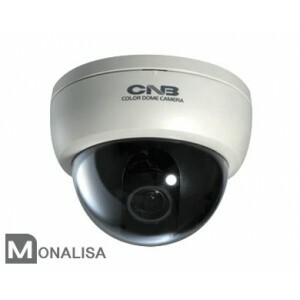 Illumination : 0.05Lux..
CNB DBM-24VF 600 TVL MONALISA DSP (Discontinued) Similar Replacement Model Indoor with WDR Function = OEM DBB-24VF In/Outdoor Version = OEM VCM-24VD ..
CNB G1315NF 1/3 SONY Super HAD CCD 550TVL High Resolution ICR, Dual Power The CNB G1315NF Surveillance Camera is a high performance Day Night security camera and is similar to the other CNB Day Night security cameras only it is a more economic version. 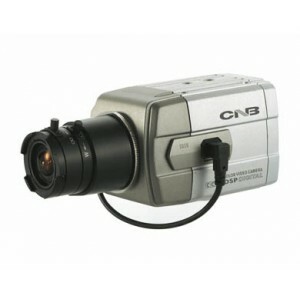 The G1315NF Surveillance Camera produces raz..